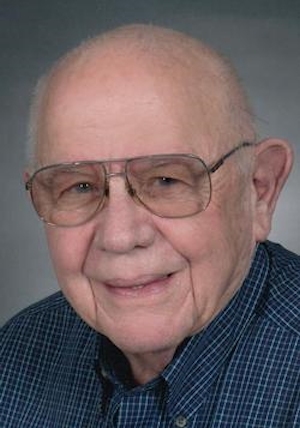 Obituary – Gengler, Dr. Robert Henry « Perry High School Alumni Association, Inc.
Wrestling ’44-’47; Annual Follies ’45-’46; F. F. A. President ’46-’47. The mass of Christian burial for Dr. Robert H. (Bob) Gengler, 85 year-old Enid resident will be 10:00AM Monday, January 19, 2015 in St. Gregory’s the Great Catholic Church, 1924 W. Willow. Rev. Joseph Irwin will officiate. A private family burial will follow in Calvary Cemetery under the direction of Henninger-Hinson Funeral Home. A visitation with family will be from 4PM-6PM Sunday evening in the Henninger-Hinson Chapel. Dr. Gengler was born June 10, 1929 on a farm northwest of Perry, Oklahoma to parents Harry Gengler and Gertrude (Koelzer) Gengler and grew up in Perry where he graduated from Perry High School. While in grade school in Perry Bob met three of his lifelong friends, Jack Zorba, Reg Loeffelholtz, and Bob Dolezal. He served in the USAF from 1950-1955 attaining the rank of SSgt. 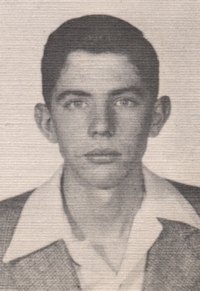 He graduated from OSU with a DVM in May of 1959. He was owner of and practiced veterinary medicine at Enid Pet Hospital from 1960 to 1997. He was married to Vickie Zerr in Sidney, NE. on August 12, 1955 until her death in 1996. On March 13, 2004 he was united in marriage to Kathleen Everett in Sun City, AZ. With Katleen he traveled to far-flung places, including Ireland, a cruise around the southern tip of South America, and Scandinavia. Bob and Kathleen enjoyed almost 11 wonderful years of marriage. Bob was a member of the Aesculapius Society of OSU, the Veterinary Medical Association, the Enid Chamber of Commerce, and Enid Noon Ambucs. He was active on the board of the Enid YMCA. He was also a charter member of St. Gregory the Great Catholic Church in Enid and served on it’s parish council and finance committee. Surviving are his wife , Kathleen, son Clay and wife Sue of Redlands, CA., son Brian and wife Cathy of Victorville, CA., and son Tom of Denver, CO. Grandson Jonathon and granddaughter Annette both of Victorville, CA. One sister, Dorothy Lehmkuhl and husband Bruce, of Michigan. He is also survived by 6 nieces and 13 nephews. He was preceded in death by his father Harry Gengler, mother Gertrude(Koelzer) Gengler, wife Vickie, one sister Maxine formerly of OKC, and a brother Bill formerly of Perry. Bob was a storyteller and master woodworker. He loved hunting, cards, and nature, and was an enthusiastic birder. All who knew him loved his sense of humor and adventure, his friendship with all kinds of people, and his zest for life. He and his son built a stone cabin by hand on family land south of Perry and he loved to spend time in the adobe in Villanueva, NM. Memorials may be made to the Altar Society of St. Gregory’s, the YMCA, the Salvation Army, or the charity of the donor’s choosing with Henninger-Hinson acting as custodians of the fund.